This summer I had the pleasure of traveling to the Etsy headquarters in Brooklyn. Leaving our quiet little hill before the break of dawn and arriving in the middle of the city around 9AM left me feeling slightly overwhelmed & very awestruck. I got a grip and went into the large building within which Etsy lives. 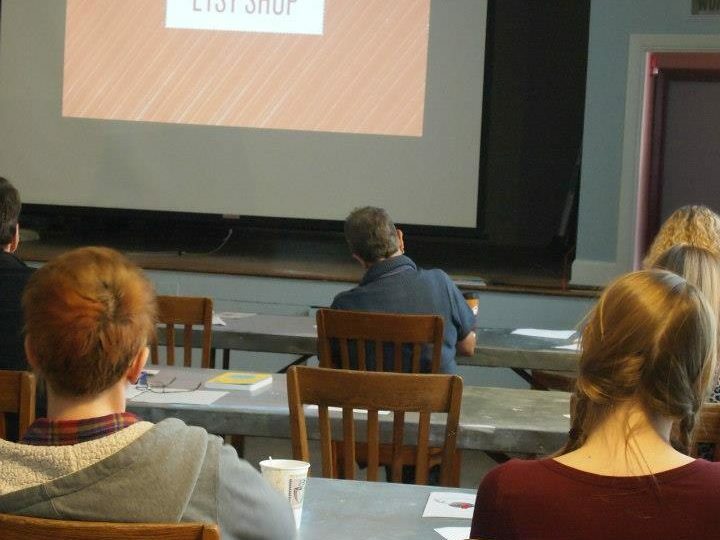 I was there to receive my training as a Certified Etsy Educator. I met Etsy’s Seller Education Team and about 15 other Etsy educators. We dove deep into discussion about teaching Etsy. Now, I am very ready to share. I’m thrilled to announce my first class as a Certified Etsy Educator- Etsy 101. It is October 6, 2012 in Lancaster, Pennsylvania. Read about it here. I am collaborating with the Pennsylvania Guild of Craftsman to offer this class in their brand new Center of American Craft. I am most looking forward to the conversations we will have about Etsy and how you can make it work for you. I have a keen interest in Etsy. Why? Read this to learn why I think selling on Etsy is a good idea (and please do add your 2 cents on that). 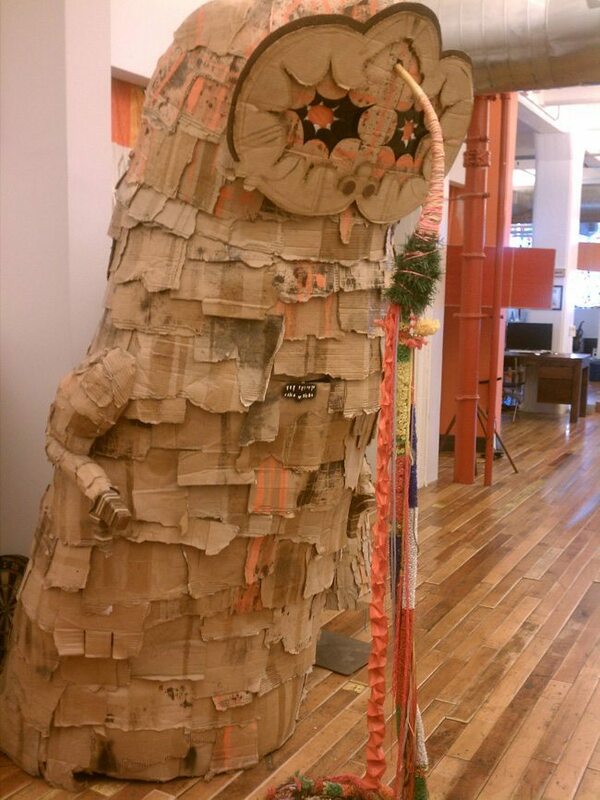 *The creature above greets you as you enter the Etsy offices. Just as you would expect- there are magnificent creative works – everywhere. Thanks so much Krista! I really appreciate your support. Your jewelry is very lovely!